There are 2 posts in this thread, and it has been viewed 3242 times. Stakes Winner. What do you think of it? 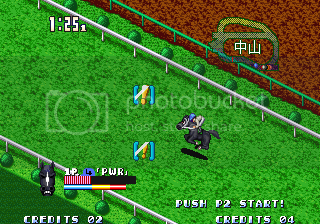 Who would have thought that one day there would be horse racing game for the Neo Geo? 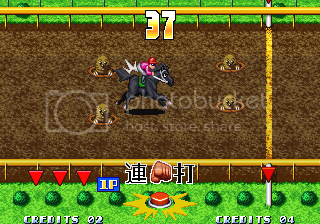 The idea isn't actually that absurd: In Japan or in other Asian countries Horse Racing arcade titles are in fact quite common, for example Namco's Final Furlong or even mechanical Arcade games. However, Saurus (better known for the Shock Troopers series) took the job to develop a Horse Racing game for SNK's legendary Arcade platform and with it the ports for home consoles like the PSX or Saturn. The result was of course Stakes Winner, which was even followed by a sequel. 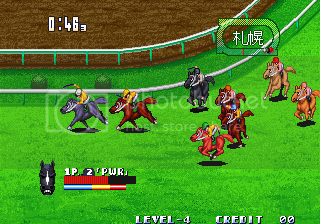 But unlike the Horse Racing enthusiasts in Japan, Stakes Winner left Neo Geo fans outside of Japan quite cold. Although the game was ported to surprisingly many home consoles, it never reached the same cult status as other games by Saurus. What else do you know about this game? 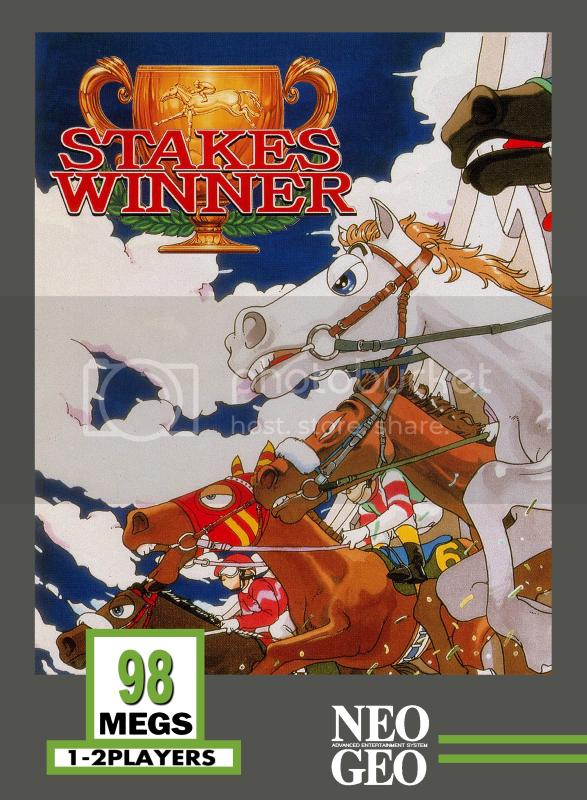 Stakes Winner, released in 1995, is a horse racing game developed by Saurus. Races can be entered by one or two players and involve eight horses struggling for victory. Before the beginning of the race, while horses approach the starting point, the name of the circuit, course plan, prize money and circuit time record are displayed. 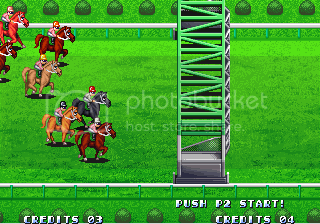 During the race, the player must cross the finishing line by controlling the horse with two buttons and the stick. After every stage, the track length, as well as the prize money awarded to the first three finishers are augmented. The series of levels are separated by training stages, i.e. Bonus stages. I'm not quite sure if anyone's up for a HSC. But in case there's really some interest, let me or Priest know. Never played it, and I probably never will. If I ever come across this game on the cheap I would not pass it up, but I doubt I will ever play it since I'll probably never find it.